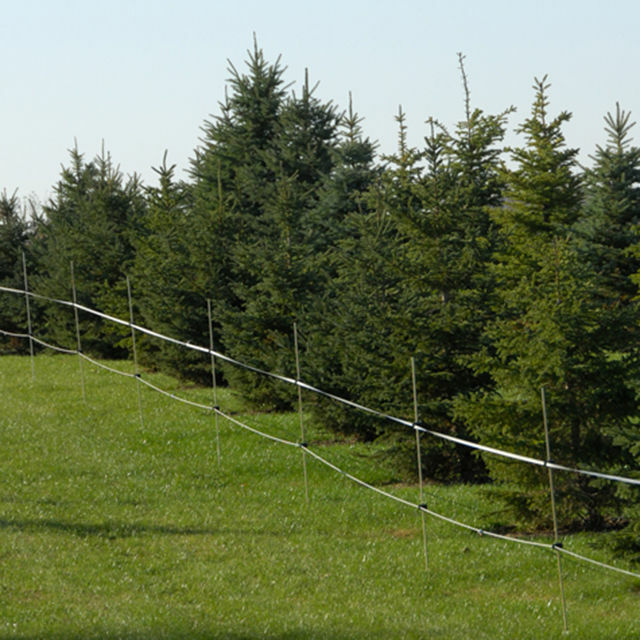 This simple to install, low-cost 2D scented anti-deer fence is for sites with minimal deer pressure. It consists of just 2 strands of energized rope or tape with scent caps baited with apple scent. Scent caps are tied to the lower strand to attract deer to smell the cap, receive a shock and to thereby imprint them with pain and fear. This fence works best if installed before the trees are planted—as this trains the local deer to stay out. As low as 31¢ per ft. Deer are more likely to go under or over this fence compared to electric netting or 3D fences. Easy to keep free of vegetation. Scent caps need to be refreshed often. You will need an energizer for this fence. Please refer to the Energizer section to determine your needs or refer to our energizer comparison chart. For permanent electrified fences. Made of polyester so it’s soft to the touch. Very good conductivity (50Ω/1000 ft) so it’s suited for any length of fence line and nearly all energizers. Rope fence for both permanent and portable situations because polyethylene filaments resist wear and abrasion. Use for horses, cattle, sheep and goats. Excellent for both permanent and portable situations because PE filaments resist wear and abrasion. Excellent built-in elasticity. 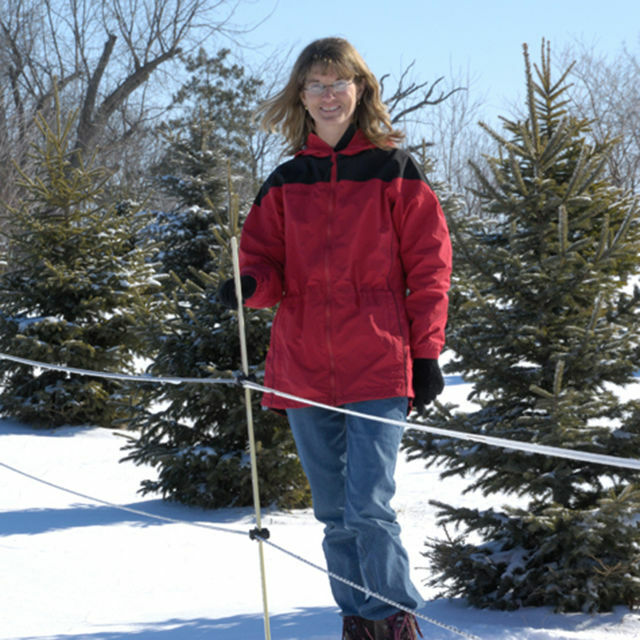 This 4.5mm version is less weight, lower cost and better for short-term fences. 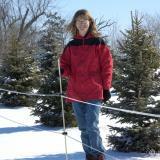 A 1/2" wide electric fence conductor whose visibility is ideal for horses and other large, fast moving livestock. Portable inexpensive post that are used as line post on multi-strand fences and as extra support post for netting. Steel T Posts, 6 ft. Thick galvanized coating protects these posts from the elements for years on end. Excellent support for portable, permanent and HT fence systems. Use scent caps as a method to attract deer and other wildlife to a fence. To be used as an aid to train animals that the fence is energized. Apply to scent caps on electric fences to entice deer to test out fences around gardens, sweet corn patches and vineyards. Secure wood post insulator suited for starting and ending a fence line. Use this stainless steel clip for attaching conductors at desired height on 3/8" FiberRod posts. Grips post by spring action. For holding rope, twine or narrow tape. Used to keep rope fences at desired tension. Install a P Spring every 1320 ft.
For splicing or terminating 4.5mm and 6.0mm fence conductors. A fast, yet secure connection. Flashes with every pulse over 3000v (the opposite of the Volt Alarm). For energizers 0.5 joule or larger. Complete the circuit of your electric fence with galvanized grounds. No corrosion unlike copper rods.